Your eyesight is priceless and deserves the best possible care. That’s why it is important to protect your eyes against glare and ultraviolet(UV) light by wearing quality sunglasses. But not all sunglasses are the same. For maximum performance you should choose a pair with optical quality lenses. Not only will they shade your eyes against harsh sunlight, they’ll also protect you from the hidden risk of ultraviolet rays. Sunglasses are very much a fashion item so you will find we stock the latest styles and designer ranges. We also ensure you look good in sunglasses because our staff are trained to help you select a design which compliments and enhances your appearance. Different sunlight conditions and lifestyles call for different types of sunglasses. 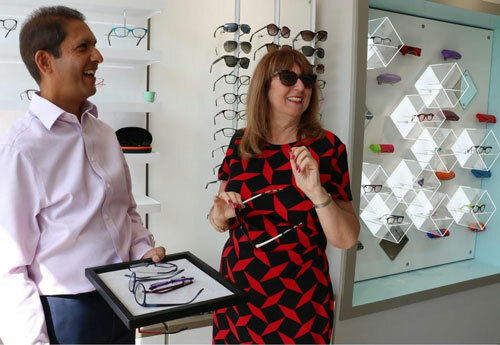 When you visit our practice you will receive individual attention and professional advice on the most suitable sunglasses for your needs. If you play sports you will find we have sunglasses specifically designed for activities such as sailing, skiing, golf, tennis, cycling and fishing. These feature frames and lenses reduce glare and increase clarity to improve your sports performance. Most types can now be made to your individual prescription too, if you need corrective lenses. Your driving performance and safety depends very much on good vision. But bright sunlight often leads to reflected road glare or dazzle, causing eye strain, headaches and poor concentration. It is therefore important to have the right sunglasses for these potentially dangerous driving conditions. You will find optical quality sunglasses filter out harsh glare and cut through haze to give you sharper and more comfortable vision when on the road. Most prescriptions can now be made up in sunglasses, often with wrap-round styles. 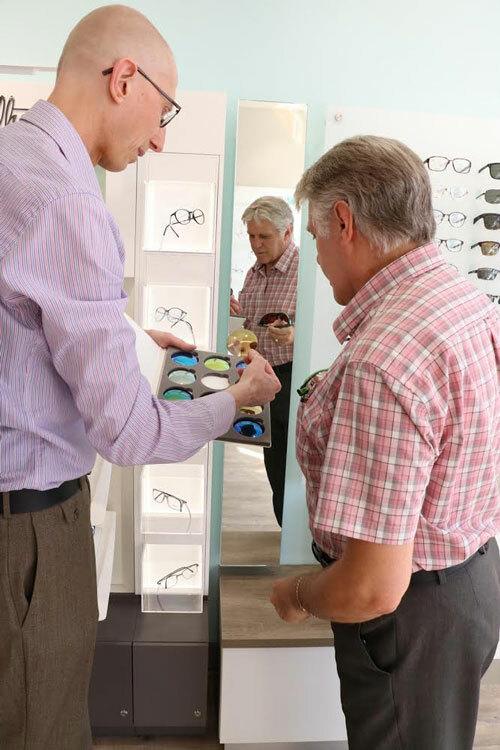 Your prescription lenses can be made with single vision, bifocal or varifocal lenses. They are also available with photochromic lenses which have a light tint indoors yet darken in sunlight. Polarised lenses can reduce glare from reflective surfaces- ideal for reducing glare from low winter sun. The Maui Jim range offers an exceptionally comfortable yet effective sunglasses lens option, for a variety of needs and lifestyle.